Tottenham had to dig deep into their reverses to defeat a well-drilled Watford side at Wembley. This was a much-needed win for Spurs given our domestic cup exits last week. Spurs were without Harry Kane and Dele Alli, however, there was some good news with Son Heung-min starting for us. The South Korean just returned from the Asian Cup where his side were eliminated in the quarter-finals. Son scored the equaliser for Spurs after Craig Cathcart’s header had given Watford the lead. The hero of the night was Fernando Llorente as the Spaniard came up with the winner late in the game. The forward has had a tough time since his move from Swansea but has scored a couple of important goals in recent weeks. 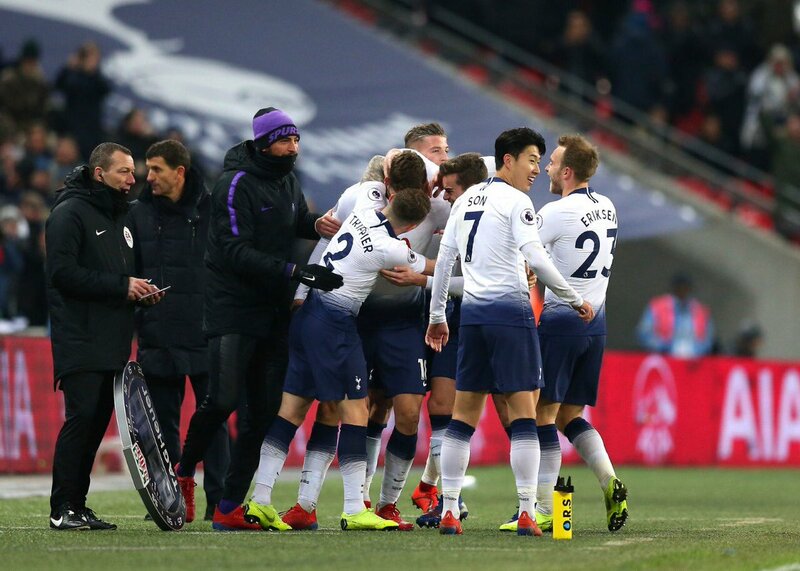 Llorente was happy with his goal, but our main striker, Harry Kane also could not contain his joy after the late win over the Hornets. Moussa Sissoko was another player who did a quality job against Watford. The Frenchman has been excellent this season, and he was pleased with the win. Paulo Gazzaniga didn’t start, with Hugo Lloris playing as the goalkeeper. However, the Argentine was one of the first players to celebrate a win on social media. Our defence wasn’t that great against the Hornets but the Belgian centre-back pairing of Jan Vertonghen and Toby Alderweireld seemed to be happy with the three points. Big win on a cold night in London. Tottenham next play on Saturday against Newcastle United, and we need to be wary of the threat possessed by the Magpies after their 2-1 win over Manchester City.